Can I be honest? I'm kind of tired of talking about Nerium and posting about race giveaways and doing "business-y" things on this blog. There is this weird sort of feeling I start getting when I haven't really written about something in a while. So, while the more heart-felt and honest posts have been less frequent lately, please know that they're coming. I know I don't need to apologize for my blog because, after all, it is my blog. I just want you to know that I'm probably just annoyed with it as you are right now. And all of that to say - I have to talk about Nerium today. I have to talk about it because I sell it, I think it's a crazy awesome product, I'm trying to build my Nerium team, and there's a Nerium party coming up next week. So stick with me, friends! There's not any other way for me to say this. 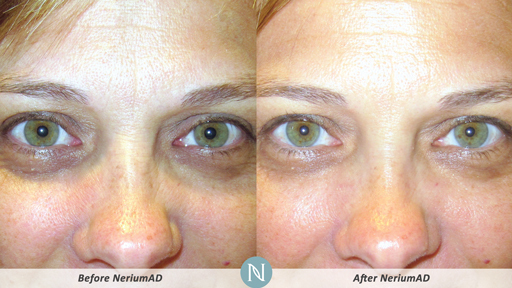 If you're not using Nerium, you should be. Let me show you why. Although this is an age-defying cream, it is for all ages. You may be 72 and wishing your wrinkles would just chill out. You may be 35 and wishing your pores were smaller. 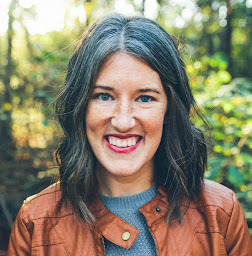 You may be 27 and wishing you had a more even skin tone. Nerium works on all of this. If you're faithful to apply this product each night after washing your face, I believe you'll see results. You may not even know what that means for you at this point. You're so used to your skin looking one way that you're not even sure what an improved version would look like. This is why you need to give it a try! This is yours truly. I wanted those brown spots I got during my pregnancy with Duke to get lighter and they have. Also, my overall skin tone seems more even and my skin is just softer. Who doesn't want that?? This Tuesday night, here in OKC, my friend Megan and I are hosting a Nerium party. If you're in the area, we'd love to have you! Email me at Claire.L.Westbrook(at)gmail.com if you want the address. (Don't want to give Megan's address out to the crazies!) 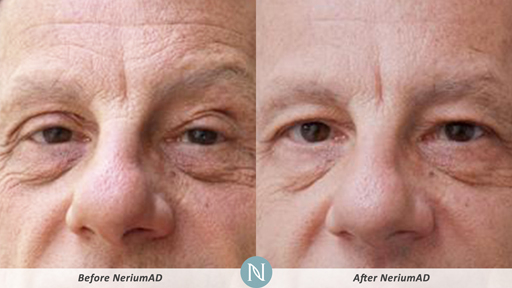 We'll talk about the results and science behind Nerium and ... we're going to give away a FREE BOTTLE of Nerium! Yes, a $110 bottle of Nerium is going to be free for one lucky winner. I really hope to see some of you OKC folks there! 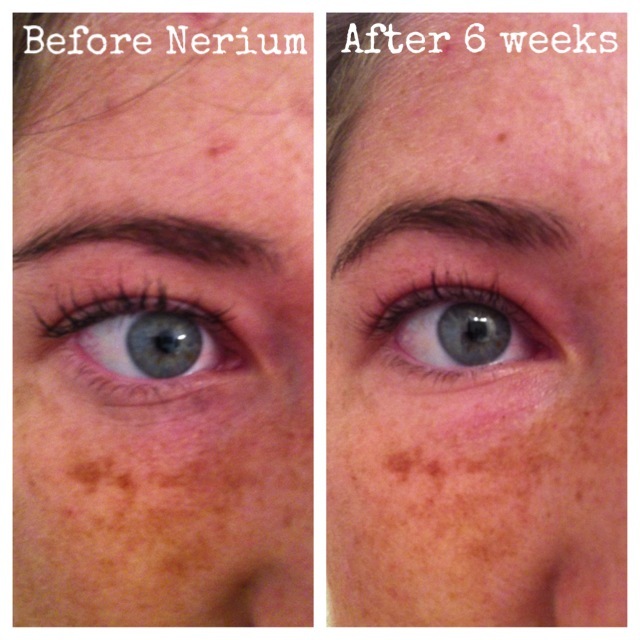 To purchase a bottle of Nerium, you can go to my Nerium website and order it. Sign up as a Preferred Customer so you can get it cheaper than the retail price! You'll get it auto-shipped to you each month, but you can always back out if you need to. If you're interested in selling the product, don't hesitate to email me. I'd love to have you as my Brand Partner! Gah! I need to email you back! I'm interested in trying it out since you seem to love it so much :) Also, I know what you mean about "real" blogging. I posted 2 product reviews in a row and felt like I was becoming one of "those" bloggers. It's a tough balance. does this work for dark circles and bags under your eyes? cause ... girl. I got 'em bad.